PhD.Fine arts /Interdisciplinary artist. Specialist in artistic pedagogy applied in education, combining professional artistic activity, with experimental research and teaching at different educational levels. Experience in digital environments as a teacher of the Department of Didactics of Visual Arts in the Faculty of Education, International University of La Rioja, Madrid Campus, Spain. Developing a deep interest in nature, our environment, the city As a place of research, anthropological review and the relationship with our environment. 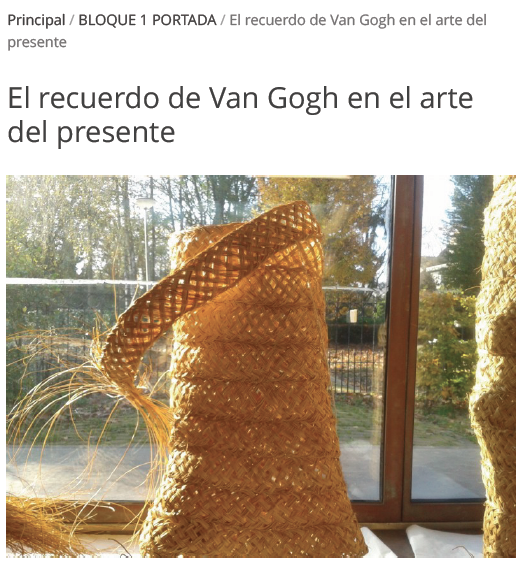 Link web: Enlace revista Descubrir el arte.